Below is a restaurant review sent in by a dear La Vergne friend, Jen C.
Welcome, happy readers, to another installment in our Restaurant Week 2013 series. As you can see from previous articles this week it’s pretty tasty here in La Vergne. Let me give you some more proof. Today’s restaurant is C.R. Noodle House. Their sign indicates their specialties are in Thai and Laotian cuisine. Their menu indicates that they are all about the noodles. I believe they deliver on both counts as the menu features around 150 dishes. The majority of these feature some type of noodles. Appropriate, no? Yes! My dining companion and I ordered the same dish the Pad Bean Thread Noodle. The menu describes this dish as, “Stir-fried bean thread noodles with house special sauce, eggs, onions, carrots, broccoli, baby corn and green onion.” As a very welcome feature you can order your entrée as spicy as you would like it on a scale from zero to ten. The Pad Bean Th read Noodle lives up to its description. You are presented with a lovely plate of delicate, nearly transparent noodles garnished with the above-mentioned vegetables and your choice of chicken, pork, beef, tofu, or vegetable. It is so pretty and so tasty you must give it a try. A delicate salad of truly bite-sized iceberg lettuce garnished with a bit of purple cabbage shreds and julienned carrots preceded our entrees. 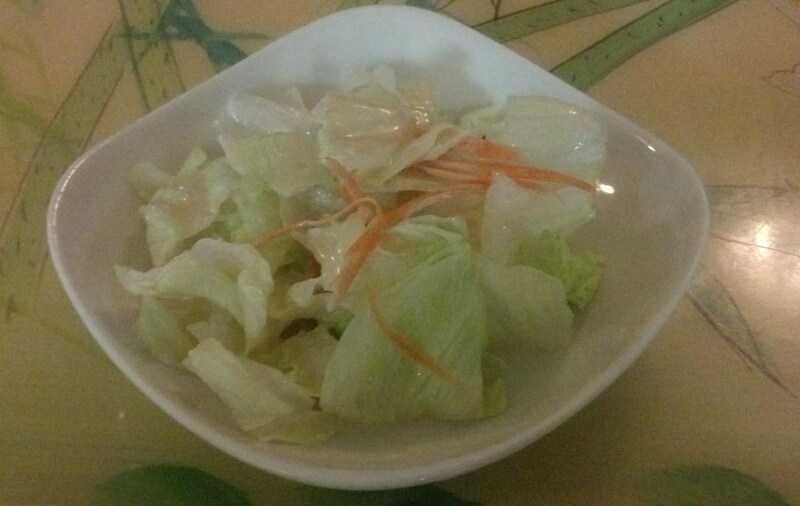 The salad comes with a lovely house dressing drizzled on top. The creamy, pale yellow dressing is a sweet accent to the delicate vegetables of the salad. 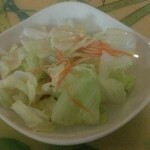 This is a pre-meal palate cleansing salad that will delight most anyone. 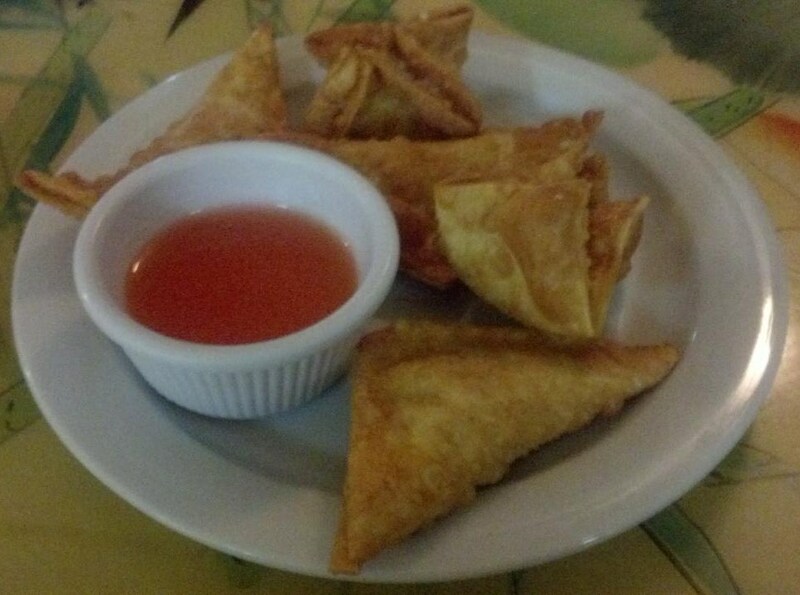 In addition to our entrees we shared an order of Crab Rangoons. They were as beautiful as the entrée. 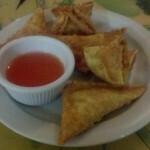 Five crispy, deep gold wonton packages of cream cheese and crab goodness were accompanied by a delicate, sweet, pinky-orange dipping sauce. The sweetness of the sauce and the sweetness of the filling were beautifully complimentary without being overwhelming. Our dinner check came in at just under $24. I think this is quite reasonable given the surprising beauty and taste that is hand crafted and brought to your table. The restaurant is full service so a gratuity would need to be added to that price. I know C.R. 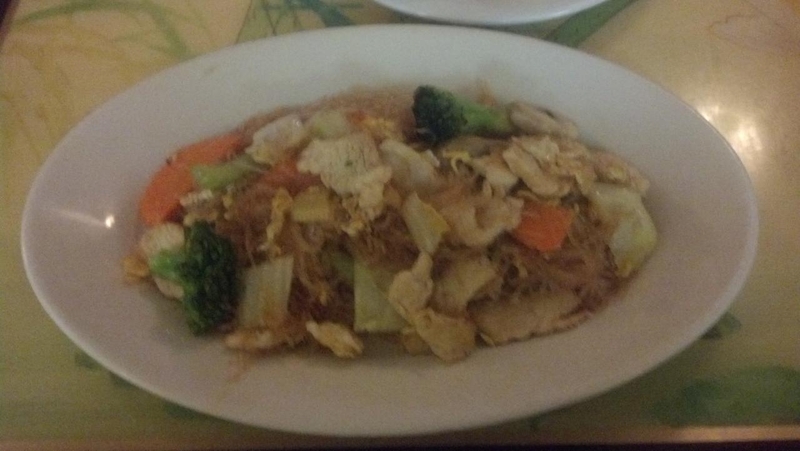 Noodle House is easy to overlook as you go down Murfreesboro Road. I’ve dismissed it myself. However, I encourage you to seek out the royal blue, a-shaped roof line and enjoy a very lovely meal. "Restaurant Week 2013: C.R. Noodle House", 5 out of 5 based on 1 ratings.